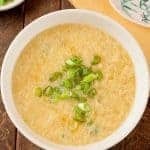 Whether crumbled onto a salad or melted into a dip, blue cheese provides a strong and robust flavor to any meal. 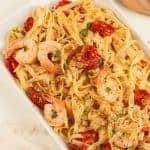 Look through over a dozen blue cheese recipes to find your new favorite! 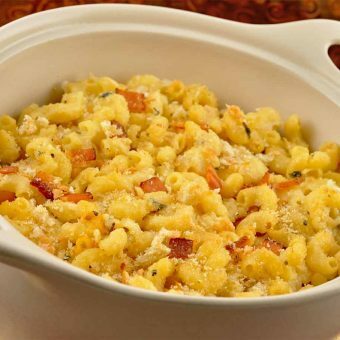 This macaroni and cheese recipe uses buttermilk, a mild, buttery blue cheese and crumbled bacon to create a flavorful twist on a classic comfort food. 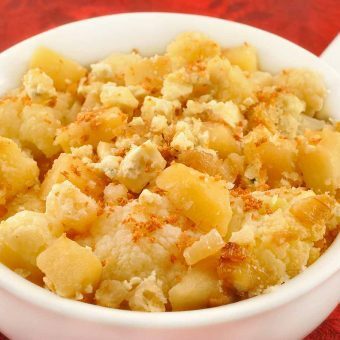 Cauliflower, sauteed apples and onions and crumbled blue cheese combine for an easy side dish that pairs well with roast pork or chicken, grilled steak or broiled fish. 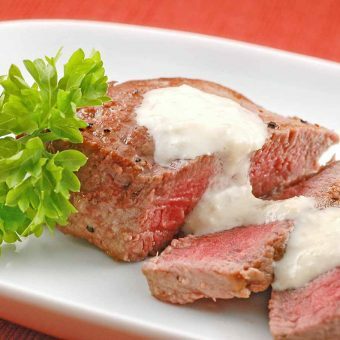 Try a creamy gorgonzola sauce flavored with shallots, garlic, and horseradish to dress up grilled or pan-seared steak or roast beef. 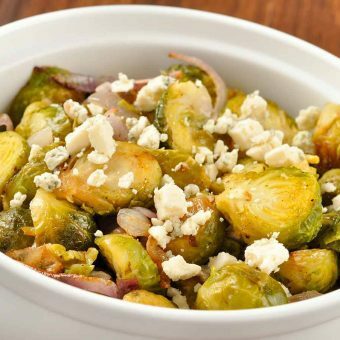 Roasting brussels sprouts and red onions at a high heat brings out the natural sweetness of the vegetables. 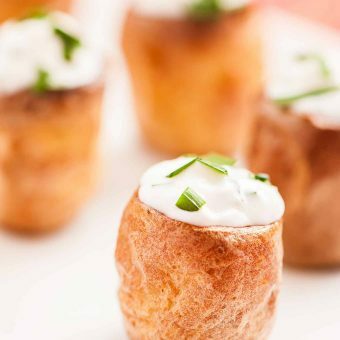 Bite-sized baby potatoes baked and filled with a simple mixture of sour cream and fresh chives make an easy, affordable appetizer for a crowd. 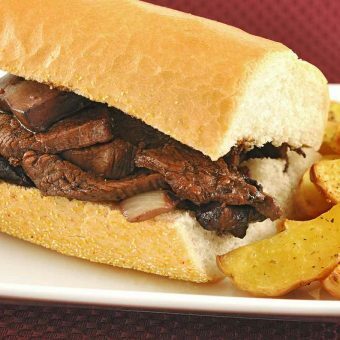 Port wine glazed flank steak, portobello mushrooms and blue cheese make a deliciously different steak sandwich. 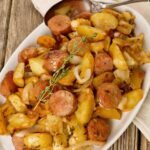 Serve on a crusty, French-style roll alongside oven roasted potatoes. 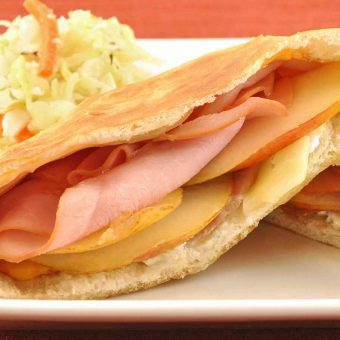 A tangy spread made with blue cheese and sour cream combines with creamy, melted Muenster, sweet honey ham and fresh pears to make these light and yummy pita melts. 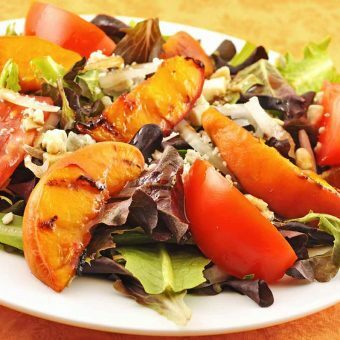 This colorful, composed salad of field greens, tomatoes, sweet onion and crumbled blue cheese is topped with grilled peaches and drizzled with a balsamic-honey vinaigrette.